The LEKKER story begins in 2009. When Dutch globetrotter Meindert Wolfraad set foot on the infamous Bondi Beach on a sunny, summer afternoon. Meindert thought, I could definitely stick around in a place like this – great weather, friendly people, beautiful surroundings, and plenty of opportunity. There was just one thing Meindert missed from back home – his bicycle. Meindert set out to find himself something they would replicate his beloved Dutch vintage bicycle from home. Something that would fit the bill had to be comfortable enough to be able to be ridden to the beach, to university, to the market on the weekend, and home again. A retro-style bike that could tick all these boxes and be fashionable enough whilst doing so. A classic bicycle such as this was difficult to find in Australia. Meindert could see Australian’s embracing a healthier lifestyle and he knew something replicating his Dutch bike from home would be suitable and very well received in the Australian environment. Meindert resolved to bring the free and easy Dutch style of getting around to Australia. He wanted to bring Australians a quality, beautiful, stylish, and cool bicycle that would get them from A to B, and look great doing so. If you have ever visited the Netherlands you will see that Dutch people certainly have a slightly different style of riding to Australians. Where Australians see bicycles as a form of transport, used to get from A to B, the Dutch view riding a bike as more of a lifestyle. The canals in Amsterdam are brimming with riders making their way around the city, running their errands, sitting upright on their Dutch style vintage bikes. What makes a Dutch bicycle, Dutch? A traditional vintage bike is taller than many typical styles, allows for good visibility and guarantees great comfort. Traditionally, they have a step through frame, varnished chain cover, mudguards, and a skirt guard. Many of the bicycles in Amsterdam are black. These features work to protect the rider from the weather. In the Netherlands, a bike rider will rarely dress in exercise gear, rather, a bike is simply one form of transport therefore they will just wear their regular clothes (thus the need for protection from mud, rain, and dust). Another distinct feature of a Dutch bike is the high, curved handlebars that give the rider a comfortable and relaxing ride. Whilst these curved handlebars may take a bit of getting used to, once you are comfortable with the frame, however, you won’t be going back. A Dutch bike is built to last, and require minimal maintenance. Our LEKKER bikes are based on Dutch, premium quality standards so they are built to last. And to ensure your bike is always in top shape we offer a complementary tune-up, 3 months after you purchase your LEKKER bike. It’s simple, just bring your bike into LEKKER bikes and we will give it a thorough check over. These typical Dutch bicycle features – protection from weather elements for the rider, resistance to rust, and a sturdy frame for minimal maintenance – are all features that the Australian rider will look for in a bicycle, making a LEKKER the perfect choice for your next bike. If you are thinking of getting involved on the Dutch experience of riding a cool vintage bike test rides are available at all our stores, so why not come in and see for yourself why LEKKER bikes are the most sought after vintage bicycles going around. LEKKER’s two main vintage bicycle ranges are the Sportief and the Jordaan. Both the Sportief and the Jordaan range come in both a female and a male version. Our highly sought after Sportief range is perfect for those riders that want to use their bike for short to medium distances, making their way to the market on a Sunday morning, to the shops after work, or along the beach for a scenic ride. The Sportief is a modern take on the classic lugged steel Danish bikes. We have slimmed down the traditional version, making the Sportief agile, maneuverable and easy for the modern day rider. 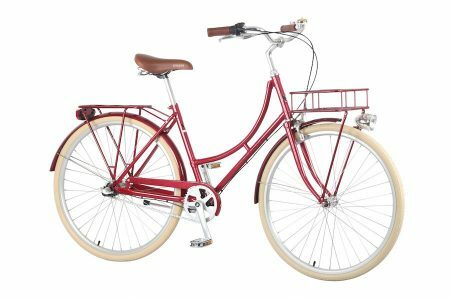 The LEKKER Sportief offers a smooth, comfortable ride, complete with that characteristic Dutch vintage look thanks to the honey coloured leather grips and saddle, and a colour matched rear rack. Our Sportief comes in a range of colours including pastel blue, pastel green, candy red, classic black, or pearl white. The well recognised Jordaan range is ideal for slightly longer distance rides and the experienced rider thanks to its super light aluminium frame and high level durability. The Jordaan is designed with comfort and quality in mind, perfect for those wanting to ride on a daily basis on a bike that is built to last the distance. The LEKKER Jordaan is built with traditional Dutch bicycle features – aluminium fenders, a chain guard, tan leather look ergonomic grips and saddle, as well as a colour matched rear carrier. The Jordaan is the ultimate in cruising and commuting comfort. Enjoy your LEKKER Jordaan in either Candy Red, Pastel Blue, Pastel Green, or Pearl White. Since Meindert founded LEKKER in 2009, the company has seen demand from all around the word for stylish, cool, and above-all high quality bicycles. 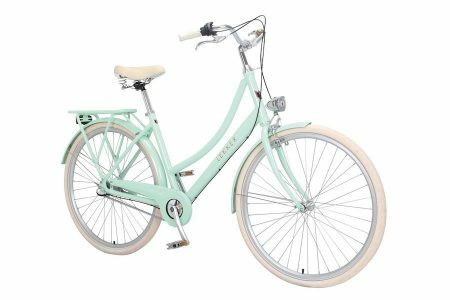 LEKKER now brings the Dutch style of vintage bicycles to Australia, Belgium, Germany, Spain, France, Italy, the UK, the USA, Singapore, and the Netherlands. We are now also operating out of 3 bricks and mortar stores, the first opened in Melbourne’s north in 2014, and a Sydney, London, and Amsterdam store quickly followed.